Candler County EMS is a division of the Emergency Services Department as well as Emergency Management and 911. Candler County EMS is a licensed ambulance provider by the State of Georgia Department of Human Resources. Candler County EMS provides primary 911 EMS service to all of Candler County, Georgia, and provides mutual aid service to surrounding counties. In addition to the emergency coverage provided, Candler County EMS provides coverage for many venues needing an ambulance present during their events. 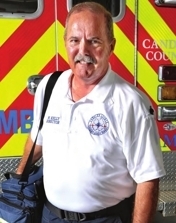 Candler County EMS works closely with first responders from the City of Metter and Candler County to assure rapid medical treatment is available to every person in Candler County, Georgia. All emergency calls are dispatched by the regional 911 Center.